63 kids turned out for the Saturday Club this week! 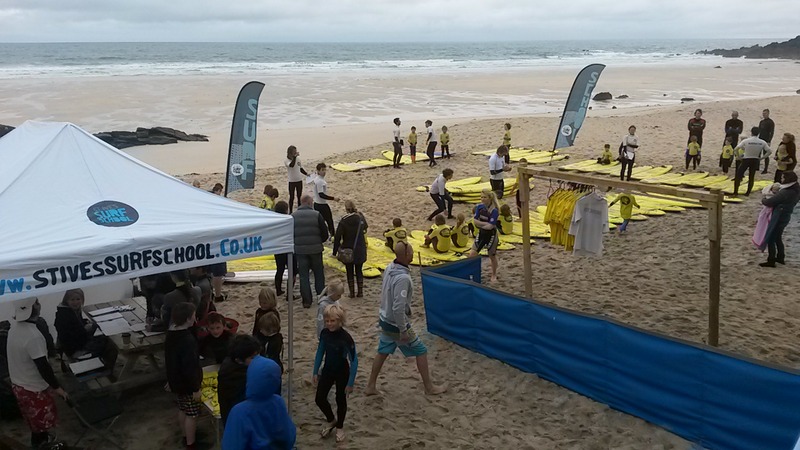 63 kids turned out for the Saturday Club this week along with more than a dozen Instructors, officials and helpers. A great effort on a damp and windy morning. Well done everybody! We have also seen the adult membership grow this past week and hope we can build some momentum from that. Very happy to welcome the Warner brothers back to the instructors team for the new season, never a dull moment with them around! It was the first Saturday Kids Club this week, with 73 children taking part. The youngest taking part was little Sunny at just two years old. 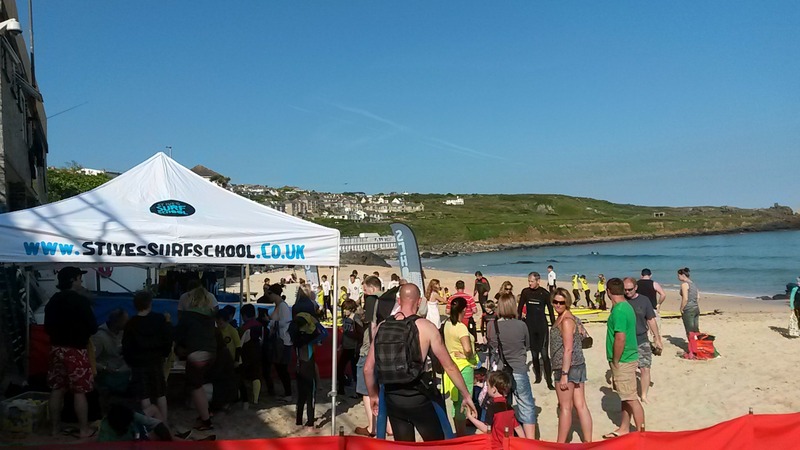 The first week was all about enjoyment and getting used to being back in the water again for groups 1, 2 and 3. 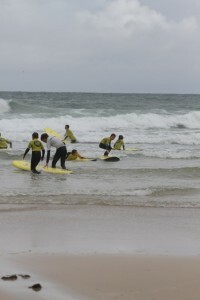 A new group was also formed, group 4 for the children who are now surfing all year round and going out back. This year has also seen the club expand its committee and coaches all of whom give up there time for free. It was especially nice to see Billy Wilkins who learnt to surf in Saturday Surf Club, helping to coach the youngsters. 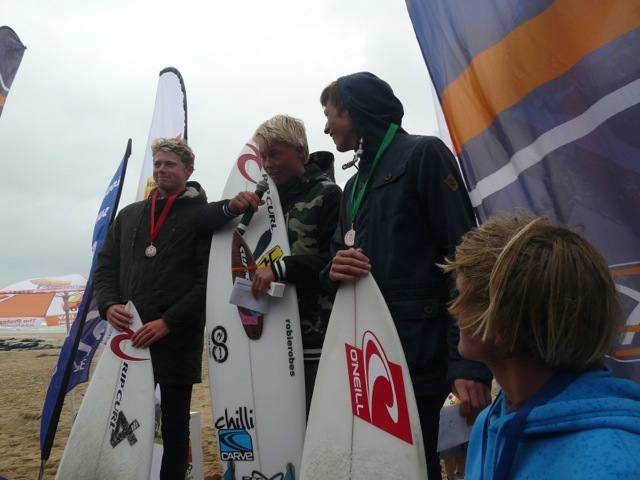 Saints Boardrider’s had two members competing at the English National championships at Watergate Bay, Newquay over the Bank Holiday weekend, and they came away with a title apiece! 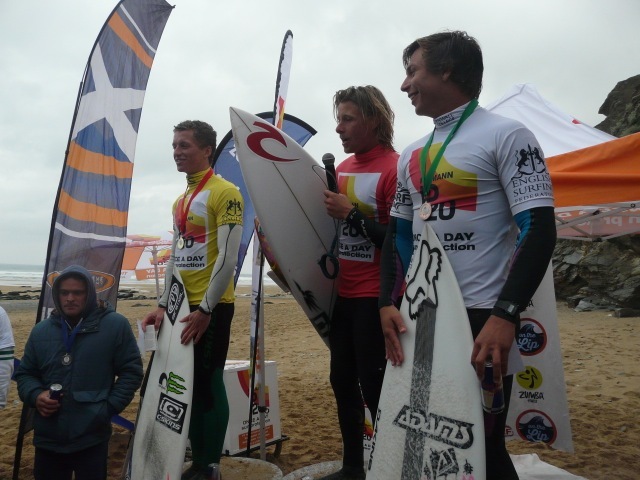 Surf conditions were very contestable throughout the event, and both Jayce Robinson and Harry De Roth maintained good form over the three days to make podium finishes. Jayce overcame competition from the best surfers in the country to win the Men’s Open with a series of commanding performances, culminating in and 8 and a 9 top wave scores in the final itself! Harry’s own participation in the Men’s Open came to an end when he was beaten by Jayce and Jobe Harriss in the quarter final, the latter passing Harry’s score in the last twenty seconds of the heat with a true buzzer-beater! Jobe went on to finish second to Jayce again in the final. In the Under-16 Boys event, the most crowded division of the weekend, Harry strode comfortably to the final, posting impressive scores in every heat. For once, his canny wave selection seemed to desert him in the final itself and he couldn’t find the long runner that the judges were rewarding best. A couple of critically-executed big waves got him within a point of first place but he couldn’t find a clincher and finished equal second, becoming third on a count back of best wave score. Within the hour he was back in the water in the Under-18 Boys final with a chance to relieve the frustration of the near miss earlier. And he left nothing to chance this time, opening with a 7.17 within seconds of the starting buzzer and holding the lead throughout, gathering a series of four good scores, any two of which would beat his opponents’ best efforts. 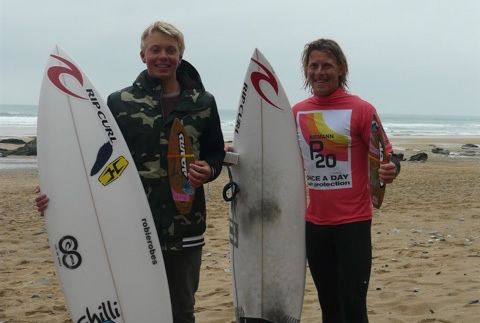 It was a well-deserved reward for a good three days of surfing – and the first English title he has held to go with his four British titles in past seasons. Well done guys – inspirational stuff!